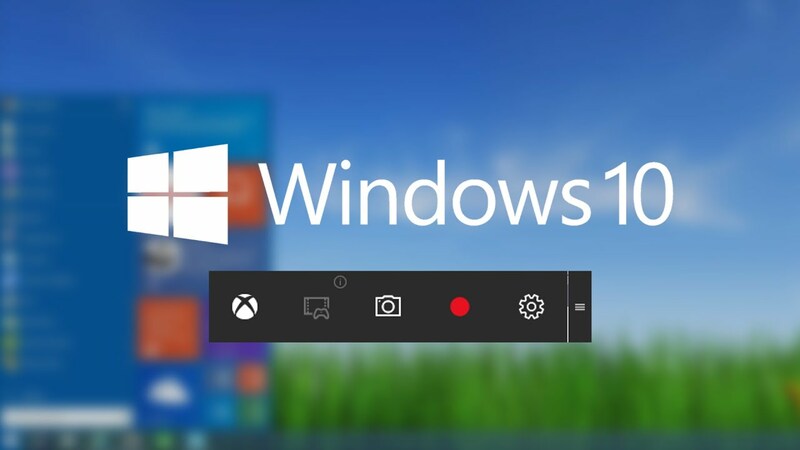 At one point or the other, you may need to share content displayed on your Windows PC desktop in the form of a video or snapshot and if necessary include audio. This content can be a game-play showcase, a tutorial, a demo, a product review or even a screenshot of a window of interest. Windows cannot achieve all this apart from just being able to take screenshots. For that matter, many good screen recorder software for Windows platform has been developed with each trying to be more superior than the other. Most Windows-based screen recording software come with advanced features such as editing and annotation tools besides being able to record not only the screen but also the webcam at the same time. Depending on the target audience of your screencast, you will be able to save your work locally on your Windows 7/8/8.1/10 PC or better yet upload to a platform or service of your preference for convenient sharing. Screencasting software will either come as free, free-trial or paid for the pro versions. Based on the features you are looking for coupled with the goal at hand, you have the opportunity to determine whether to use a paid or a free screen recorder. It goes without saying paid versions have more features than free ones. Therefore, this article will highlight some of the features that you ought to consider when settling for a screen recording tool, the scenarios that should motivate your selection, and give you a comprehensive guide when selecting the most appropriate screencasting tool. In addition to that, we will review some of the leading screen recording software highlighting the benefits they offer. 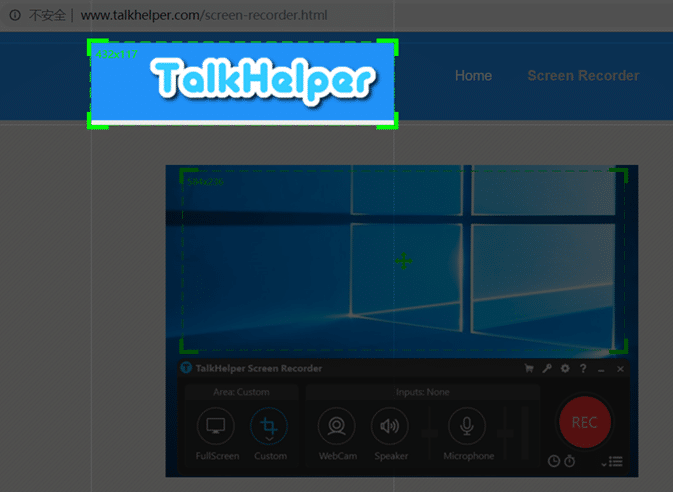 TalkHelper Screen Recorder is without a doubt the best screen recorder available for the Windows platform. Coming with a simple and intuitive user interface, this screencasting tool delivers a ton of features. You will be able to record the full screen, last recorded region, a custom region and around the mouse. In terms of audio, you can include audio input from the system or capture with the built-in microphone. Better yet, you will be able to adjust volumes of each of these audio sources to your preference. Screen record personalization is just a click away with the ability to include webcam footage on the main screen recording. On the other hand, you are empowered with rich annotation features like real-time drawing, adding of text and more besides freedom to add watermarks and logos as you see fit. 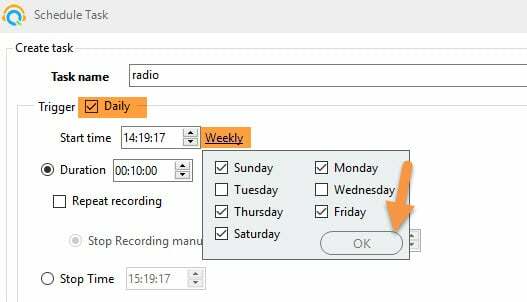 Amazingly, you can schedule recordings and configure auto stops. Show countdown, customize frame rate, implement hotkeys, access a magnifier and customize output filenames on the go. Camtasia Studio is a popular screen recorder for Windows PC created by TechSmith. Its popularity stems from the ability of its creators to offer regular software updates making the most out of emerging trends in relation to screen recording. Every new version is better and even more efficient. 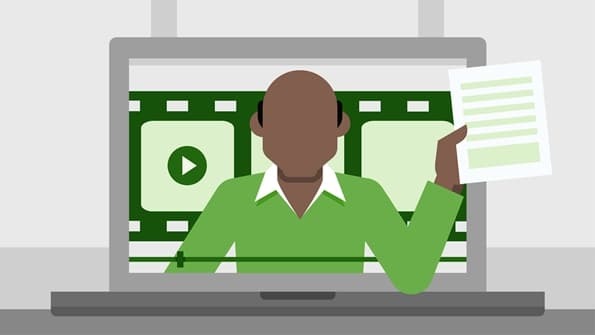 Camtasia Studio is capable of providing an intuitive and easy-to-use user interface, therefore, making screencasting convenient even for a first-time user. With this software, you can record a video of the screen without any limitations on the content whatsoever. 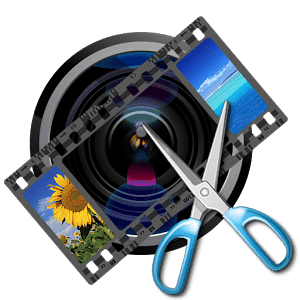 This software gives you the ability to preview the recorded footage, edit the footage as necessary like cropping and clipping, and removing unwanted audio. The screen recorder gives you a wide range of options play with until you get the desired output. 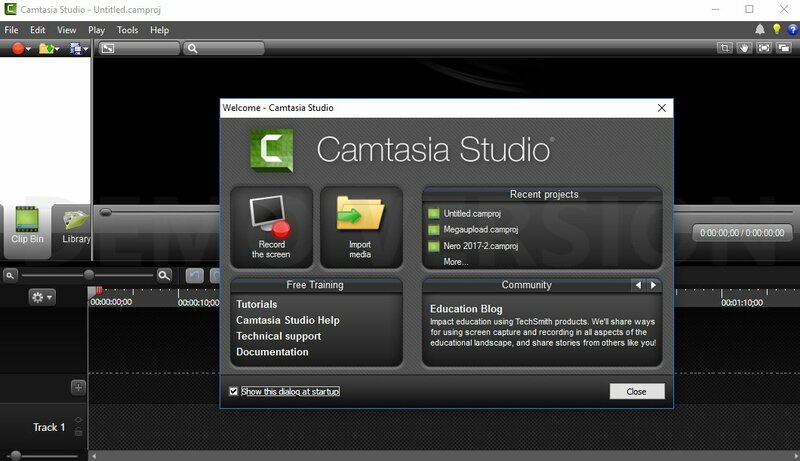 In a snapshot, Camtasia Studio is an ideal tool for screencasting and video editing. It offers a 30-day free trial after which, depending on how convinced you are, you can purchase an annual license for $299. Bandicam is one of best screen recording and game recording software that enables you to record Windows PC screen, a game-play and even capture content from external devices like XBOX or Playstation. Bandicam brings you three distinct recording modes; Screen Recording mode that lets you record either the computer screen or even a specific area of your screen, Game recording mode that captures footage of a game-play using DirectX/OpenGL technologies on Windows system and Device recording mode for capturing footage from external devices like webcams, mobile phones or game-playing devices. There is a 30-day free trial that one gets with Bandicam. However, a watermark is put onto the output screencast video and can be removed after you purchase a full license at $39.95. 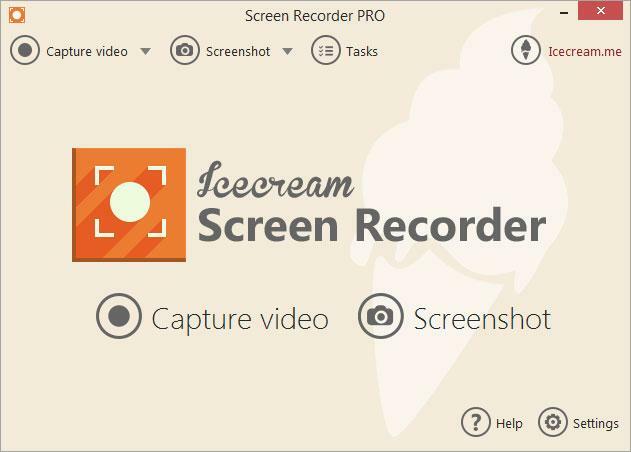 Icecream screen recorder is a neat tool that provides you with various options to record your computer screen such as a live-streaming video, or a specific application running on your Windows PC like a web browser. With its intuitive interface, you can capture the webcam and system sound at the same time when screencasting, add annotations like text, arrows or numbers on the screen. In addition, Icecream screen recorder supports multiple mainstream file formats including MP4, AVI, WMV and MOV. All those make this program one of the top screen recorders for online video content creators and instructional material builders. 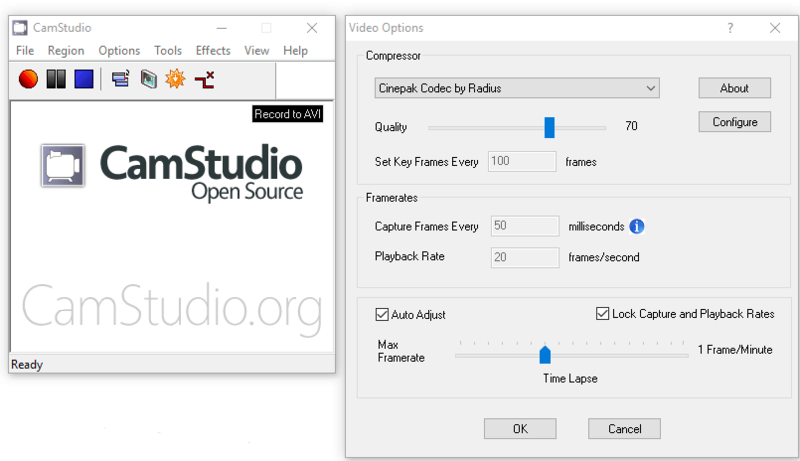 OBS Studio is an open source and free screen recorder that provides flexible ways to record and stream video games on the fly. 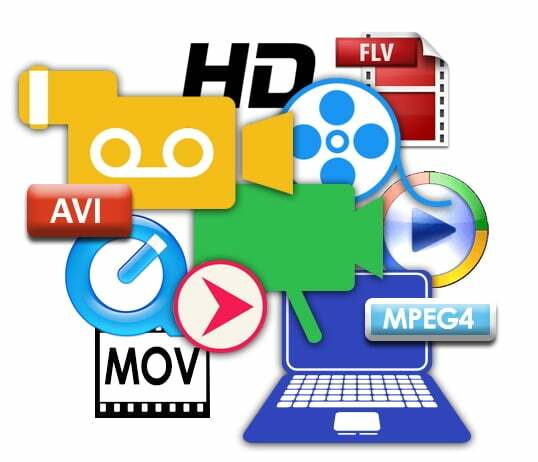 With it, you can easily record a high definition video and save it locally in FLV, MP4, MOV or MKV format. Open Broadcaster Software also supports direct communication to your graphics card with DirectX technology perfectly enabling you to record a full-screen video game in 60 FPS without any lag. You can also benefit from various in-built video encoding options including Intel Quick Sync Video, Nvidia NVENC and the AMD Video Coding Engine which are highly optimized in encoding video streams to H.264/H.265 format by CPU/Graphics manufacturers. OBS Studio supports all the mainstream Windows systems from Vista, 7, 8, 8.1 to 10. 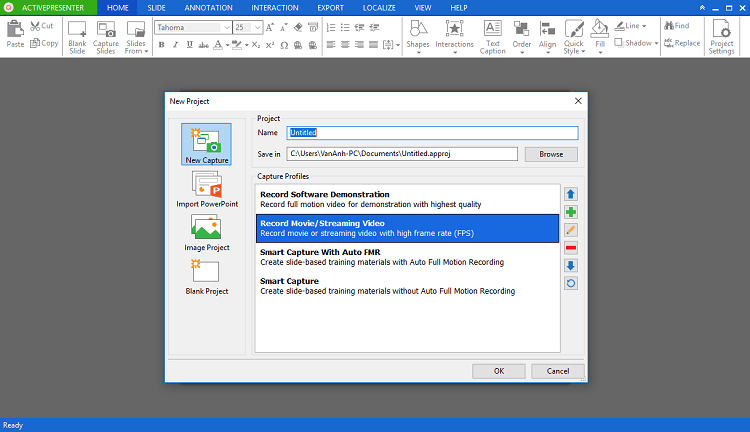 Debut Video Capture is a lightweight screencasting program provided by NCH Software. It provides an easy way to capture the computer screen. You can also record footage from external devices like the webcam, a VHS recorder or even a DVD player. Besides recording a computer screen video, it is easy to record audio from a microphone, speaker or sound mixer at the same time alongside the screen recording. With a built-in basic video editing functionality, one can easily add text captions into the video recording. All these features make Debut one of best screen recorder software for the Windows platform. ShareX is an open source screen capture and screen recording tool that provides a variety of amazing features to capture screenshots, add annotations, and upload to photo-sharing websites. Being a good screen recorder, ShareX helps you to efficiently record videos of your computer screen, a specific region and better yet choose from various video output formats including GIFs. With multiple capturing modes in ShareX, you can easily select a specific monitor to record in case you have multiple monitors plugged into your Windows PC. 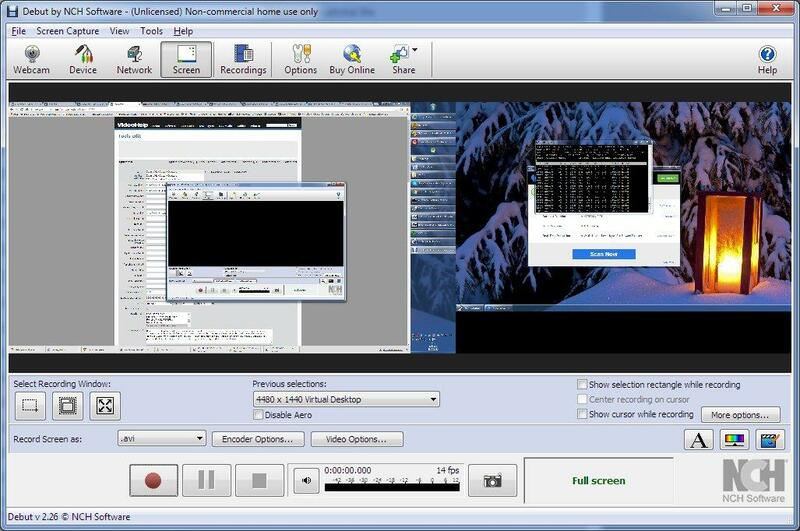 Likewise, recording PowerPoint presentations in the presenter’s or viewer’s mode separately into different output video files can be achieved by this screen recorder. 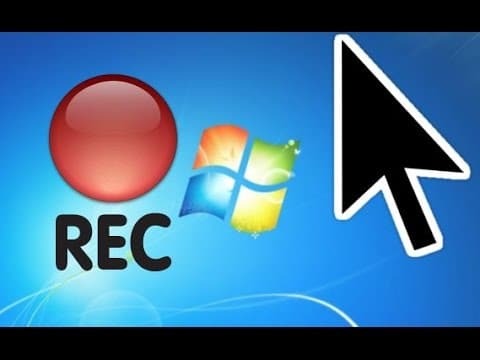 Apowersoft free online screen recorder is an impressive web-based screencasting tool that allows you to record the screen, live stream, record audio from the microphone or system sound, and compose all the multimedia element as picture-in-picture video content. This screen recording software provides a wide range of customization options that come in handy when setting recording hotkeys, frame rates, file formats (e.g. WMV, VOB, MP4, AVI, FLV, GIF) and much more for video production. It also provides an easy way to upload the footage to YouTube, Vimeo, Google Drive or Dropbox. SmartPixel has proved to be one of best screen recording software for Windows OS. It is widely used for producing demo videos, screencasting Youtube videos as well as game-play videos. 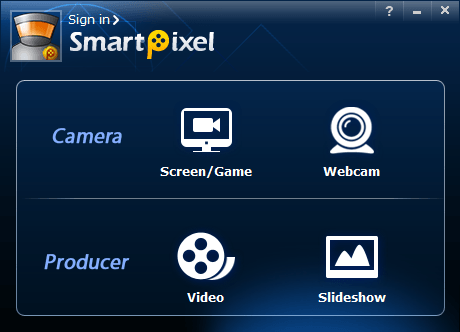 There are three major functioning modes which are “Record”, “Editor” and “Webcam” in SmartPixel screen recorder. In “Record” mode, one can capture a screen video alongside voice annotation from the microphone. After that, you can edit the resulting footage by trimming, cutting unwanted audio and video clips, adding visual effects, inserting subtitles and much more in “editor” mode. In “Webcam” mode, you can easily personalize the screencast by including yourself in the video using the built-in or external webcam. Eventually, you get to save the video clips in various formats such as MP4, WMV, FLV, AVI. Blueberry FlashBack is an easy-to-use, fully- featured, Windows-based screen recorder which is a top choice for movie makers and Youtubers. It has a clear interface and a straightforward step-by-step configuration when you need to record a specific region, deciding on the video output format, choosing the audio capture option to use, and much more. With this program, users can efficiently record screen videos, webcam videos, and external audio. 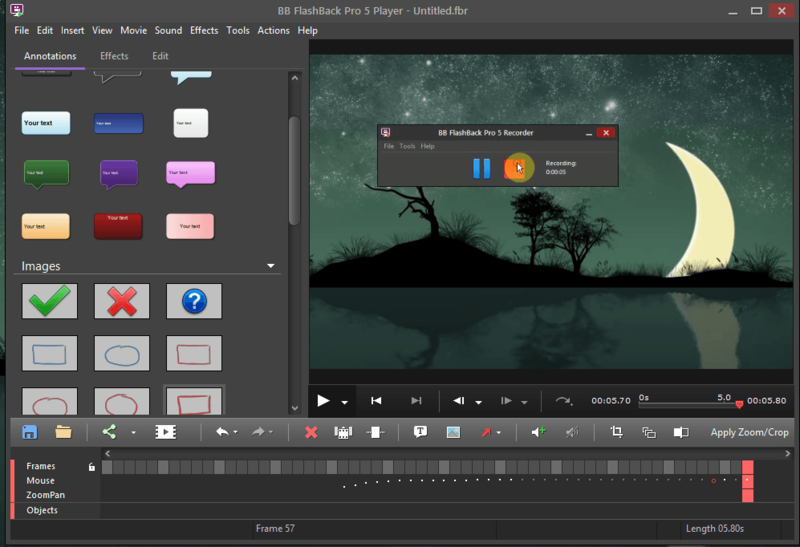 Once the recording is done, the user can either review the footage from the BB FlashBack Express Player or edit the video in the associated video editor. 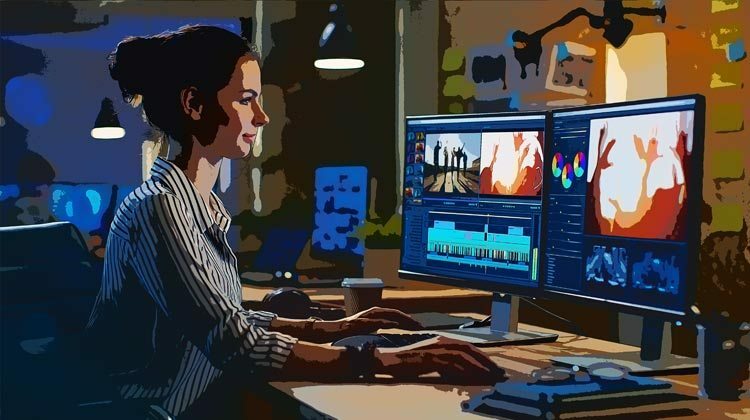 The powerful editor gives you the ability to edit video and audio in terms of frame level, adjusting timeline of audio and video, as well as adding picture-in-picture effects in the screen recording. After making necessary adjustments, you can then save the final video in MP4, AVI, or MOV format. BB FlashBack Express offers a 15-day free trial. 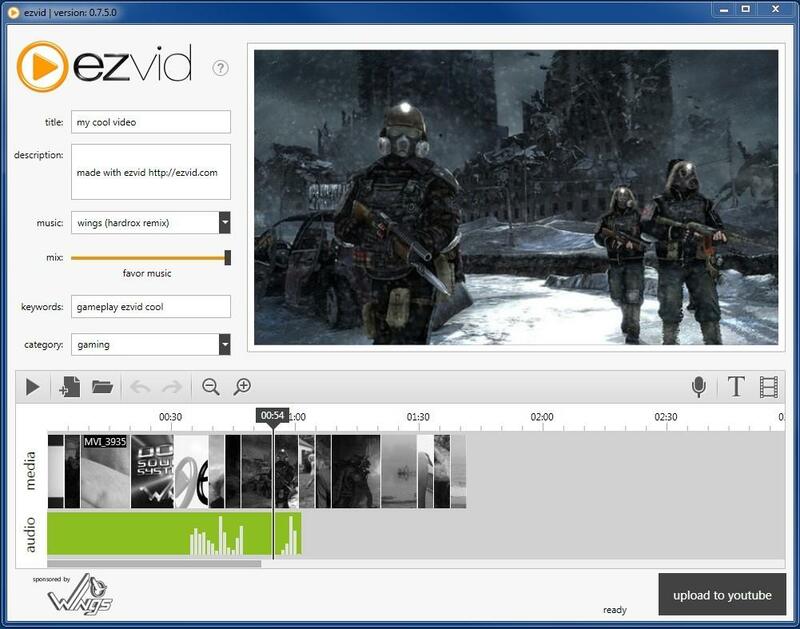 Ezvid is one of best free screen recorders which offers many useful features including the option to record desktop screen, lightly edit videos, and capable of uploading videos directly to Youtube. In addition, Ezvid screen recorder enables you to add text slides using speech synthesis which saves you time would have spent typing. You can also insert audio tracks from a pre-recorded MP3/WAV file and add subtitles in the footage. All these features help you to create professional and review-friendly tutorial videos almost effortlessly. However, Ezvid limits users to recording screen videos that don’t exceed 45 minutes. In addition, one does not get an option to save the screencast in a local file format. 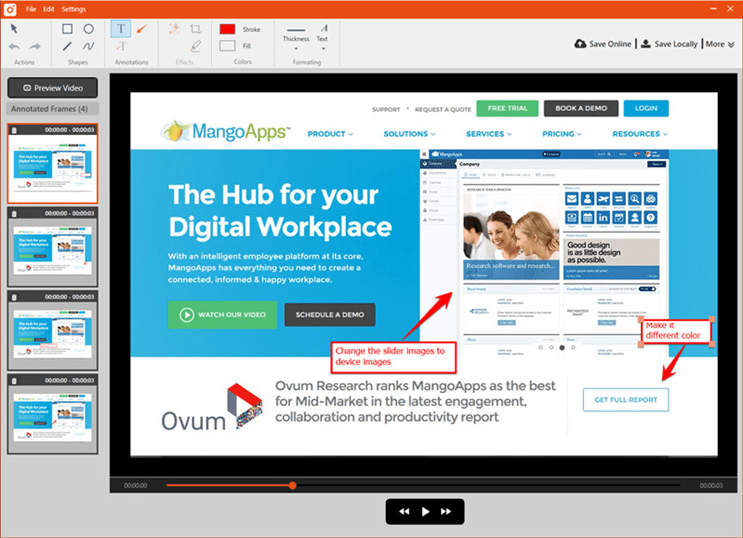 TinyTake for Windows is a popular screen recording and capture program widely used by users who want to record a video of the screen for customer training, online presentations or educational tutorials. With TinyTake, one can effortlessly record a screen video, capture still screenshots, add various annotations, and upload the video. Grab online storage (2GB for free user) powered by MangoApps, upload your work and share it with your friends or colleagues in minutes. The free version of this screen recording software has a 5-minute recording time limit, which means to unlock the unlimited recording time, you have to subscribe to a premium plan that starts at $29.95/year. Screencast-O-Matic is a powerful screencasting and video editing tool accessible by either a web browser or a Windows application. It is one of best screen recorders that you can come across. Screencast-O-Matic simplifies the process of recording, previewing, and editing in a straightforward interface which helps beginners to easily and quickly understand where and how to get started. Just like other screencasting tools, this software also provides screen capture, webcam recording and audio recording for up to 15 minutes in its free trial version. 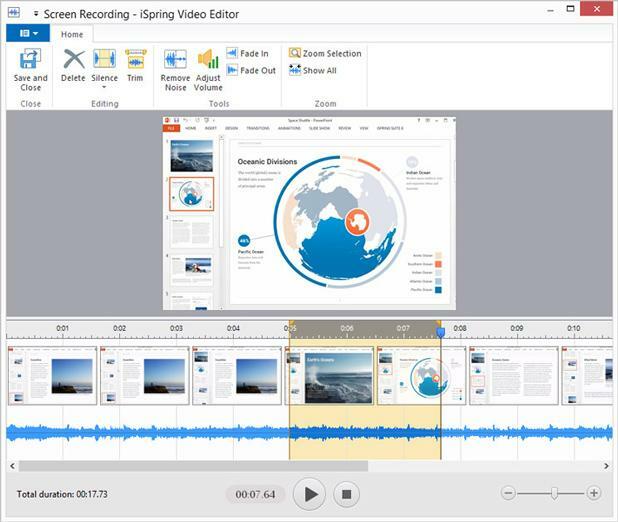 The paid version of Screencast-O-Matic removes the watermark on the resulting video after screen recording and unlocks a bunch of advanced features including speech-to-text captioning, drawing tool, editing audio and video clips of a footage. iSpring Free Cam is a full-featured Windows-based screen recording software that is ideal for creating and sharing video content on YouTube or Vimeo. It has a user-friendly interface that allows you to locate all the important icons on the home screen. The software allows a user to capture a screen video alongside system audio or microphone voice with a few clicks. The quality of the audio and video output is nearly lossless making it one of the best screen recorders. Some of the saving formats that one gets with this screencasting software include WMV file that can be saved on the computer as well as directly uploading it to YouTube. iSpring Free Cam provides 14 days free trial with full features and without any recording time limits but with annoying watermarks. Nevertheless, it is worth a try for Windows user. CamStudio is a top screen recorder especially with its capability to create industry-standard video files of the common AVI format. Better yet, it comes with a built-in SWF producer that can turn the output screen recordings into lean, mean and bandwidth-friendly Streaming Flash Videos which are convenient to manage. You will be able to add screen captions and video annotations to your screencasts through anti-aliased images. Alternatively, you can capture additional footage with the webcam by implementing the Picture-in-Picture (PIP) mode. Audio can be recorded together with video by allowing the capture from either the system sounds or the built-in microphone. For both the video and audio, you will be able to define the compression format to work with for the best and preferred results. On top of being able to record the screen either as a whole or region-wise, you can highlight the cursor path and access a video auto pan feature. If the need arises, you can comfortably configure automatic stop for recordings. ActivePresenter is not only a screen recorder but also doubles as a video editor and eLearning authoring software. It delivers a wide range of features to make sure you have the best experience. Smart capture is one of the features that will let you capture the screen at any moment the mouse is clicked or key pressed. You will be able to record the screen as a whole and later get access to various after record editing tools like annotations, cutting, deleting, cropping, splitting, joining, blurring, freeze-frame, zooming and panning, animations, closed captions, voice-overs among others. In case you need audio to be recorded together with the screencast, you can capture sound from the system and also from input devices like the microphone. Personalize videos too by capturing the webcam besides getting access to various audio effects like changing the playback speed and volume. A special feature you will also access is the green screen effect through which you can layer two images/videos together based on chroma range. Save your screencasts in either MP4, AVI, WMV, WebM, and MKV. When choosing a Screen Recording software, there are many factors to consider, such as the ease of use of the software, the quality of the recorded video, the price of the software, the sophistication of the function, and the selection according to application scenario. Therefore, before settling for any screen recorder, there are numerous factors that should be considered so as to settle for one that serves you right. Some of the factors that are worth considering include a friendly user interface, price, quality of output among others. Such factors ensure that you get an easy time while recording the content on your Windows PC screen. Top factors to consider include the following. An easy to use screen recording software comes in handy both for a first-time user and a pro. No matter how powerful a screen recorder is, a straightforward and uncomplicated UI is quite useful. No one is willing to spend most of their time figuring out how to navigate a screen recording application. An effective screen recorder should have an easy and self-explanatory user interface that enables a user to easily understand how to use the software. The settings key should also be on the surface of the home screen for quick and convenient access. In addition, the master keys such as start, pause, resume, and stop should be conveniently placed on the home screen. However, these are not accessible in most screen recording software apart from TalkHelper, BB flashback Express and Bandicam. Therefore, it is imperative that you get a tool that is easy to use and one that gives you an easy time when recording. The video quality is paramount in screen recording. Therefore, you ought to consider an application that provides the best outcome. A high-quality video is regarded as a smooth, clear and high definition file. It should also allow you to save it as a mainstream file format in its original file size. Additionally, a good screen recorder should have the ability to record screen videos in high bitrate, high resolution, high frame rates and should provide an output with video encoding codec such as H264/H265. To get such a high-quality video, there will be high resource consumption. Talkhelper screen recorder and OBS have invested in an optimized algorithm which ensures that the video recording is high and minimizes system resource usage. Just like any other software, the market is filled with both free and paid screen recorders for the Windows platform. Comparing the two, the paid software is by far better than the free ones in regards to functionality and stability. In addition, paid software is suitable for commercial purposes while free ones can only be used for personal screen recording. Share X is an ideal free screen recorder that provides basic features such as full-screen recording and can serve a person who needs a basic screen recorder. In the event that you need sophisticated features such as annotation, camera recording, and system audio recording, you will have to pay to get such features. In most cases, paid screen recorders offer high-quality video and audio output that can be used for business purposes. Screen recording is popular and one of the most used features by people using a screen recording software. In the event that you want to record a video that demonstrates all the actions going on on the computer, then a full-screen recording is the way to go. However, the higher the resolution, the more the resources used to give the output. For instance, recording in 1080P (1920 x 1080) consumes twice the CPU and RAM power than recording in 720P (1280 x 720). Furthermore, recording in 4K will require more power. As such, the best screen recorder should maintain a balance between the quality of the screen recording and resource consumption. Both Ezvid and TalkHelper are ideal screen recorders that can maintain the balance. The function of recording a specific region of the desktop is that it enables users to pre-set an area on the screen that is being recorded by mouse selection. All the activities in this area will be recorded. The advantage of area recording is that it helps users intuitively understand what one is doing in the specific screen area. On the other hand, it protects the privacy of other areas of the screen. Ideally, a good screen recorder should be able to move and resize the pre-set rectangle area during screen recording. Such dynamic region recording provides users with more flexibility to record a certain area of the desktop. 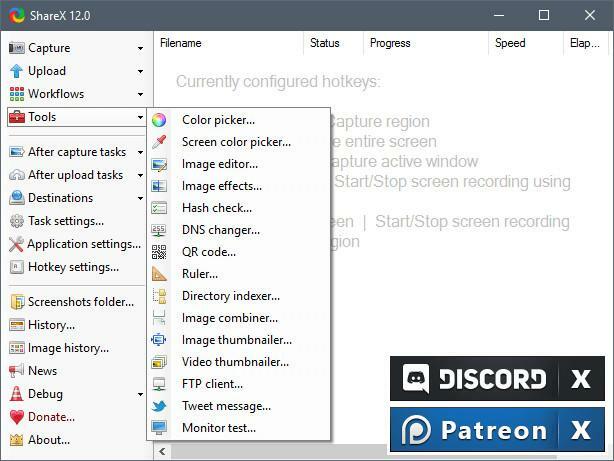 In the event that the user needs such an advanced feature, one may try TalkHelper Screen Recorder and OBS Studio for Windows OS. Window recording mode is widely used to record specific applications on Windows PC. For instance, recording PowerPoint Presentations, a windowed game etc. Unlike area recording which selects a region on the desktop, Windows recording chooses an application window as the target area, a window can be the main user interface, a child window like a pop-up message box, a list view or even a menu. Window recording mode provides a quick way to select a target window with a single click. 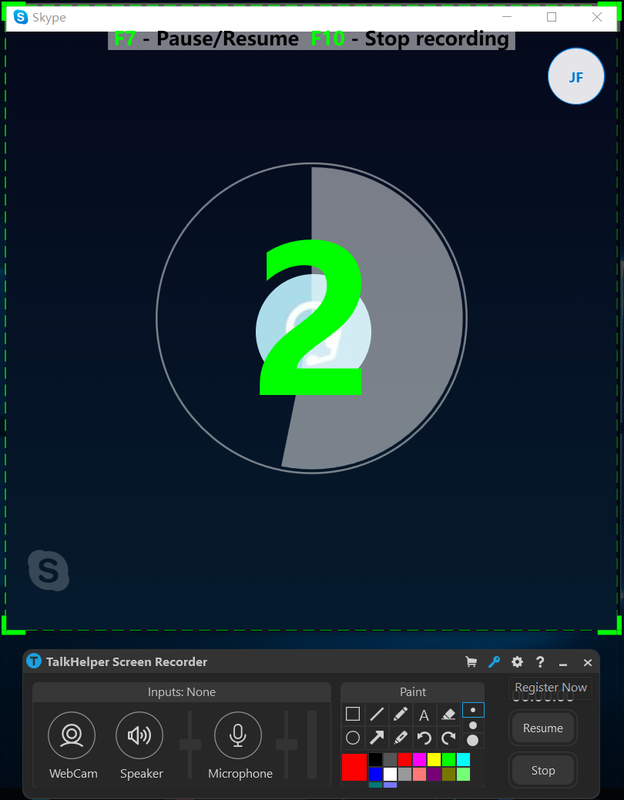 In addition, TalkHelper Screen Recorder automatically tracks the target window regardless if you move or resize it during the recording process. Recording around the mouse cursor when it’s being moved over the desktop is an interesting feature. It provides a simple way to capture the screen following the mouse movement. Besides, the mouse-centric area can be specified on-demand in advance. For instance, you can specify a rectangle of 200 by 300, 300 by 500 or any size of your preference to provide the best experience in the resulting video to viewers. If you would like to try this feature, TalkHelper and Icecream are both the best options to consider. 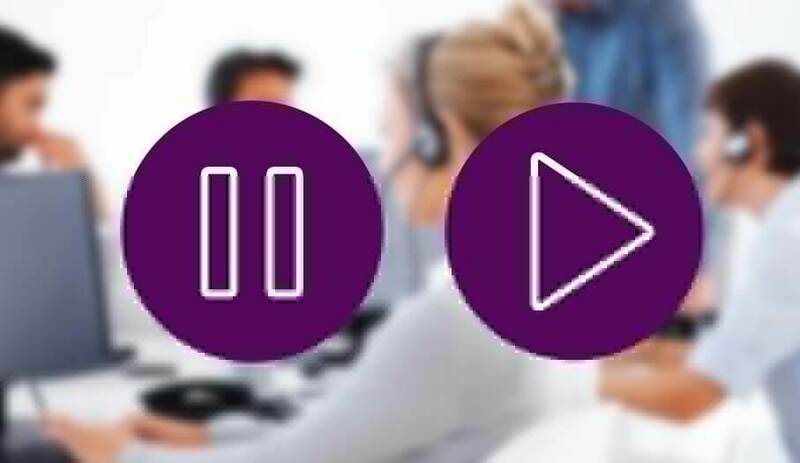 Pause/Resume recording is a common feature in screencast software, it avoids unnecessary video and audio clips being recorded in the footage, therefore, the feature saves disk space and your precious time on editing the production video. Most of the commercial desktop recorders have this feature, but it’s missing in free screen recorders such as OBS studio. Recording a webcam / facecam stream simultaneously with the screen or game recording is one of the most useful features that one can get in a screen recorder. With it, the webcam stream will be showed and recorded in a corner of the main video resulting in producing a picture-in-picture / video-in-video style footage. 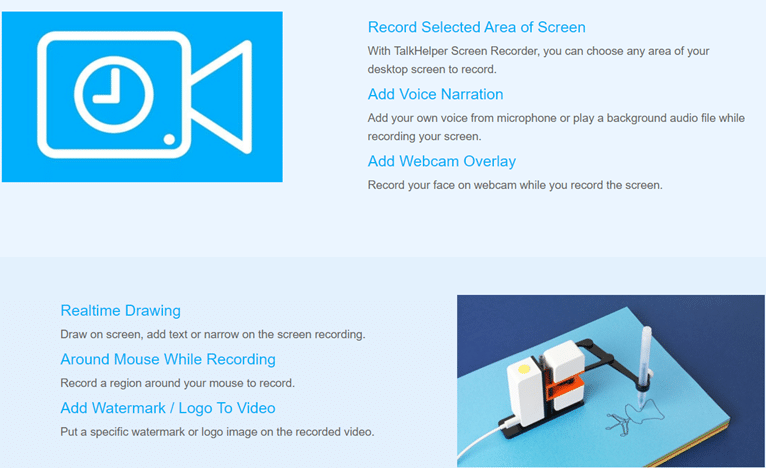 Almost all modern screen recording apps do support webcam recording. However, only a few allow you to flexibly open or close the camera during screen or game recording on the fly. Most software only provides you an option to activate the camera feed before you start screen recording. 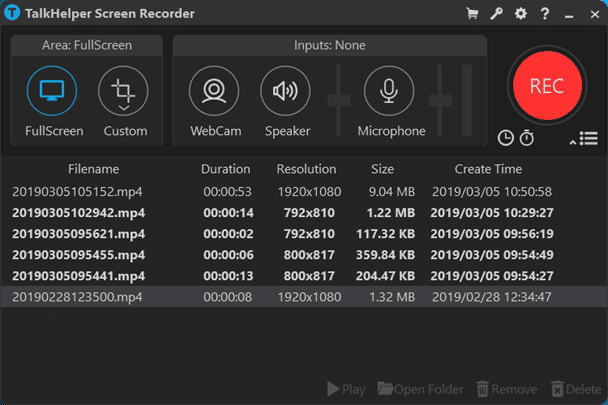 Some of the software that are good screen recorders include TalkHelper Screen Recorder and Bandicam as they allow you to manipulate the camera during recording. When you need to commentate on a video tutorial or game on your PC, turning on the microphone or system sound while the screen video is being recorded makes it easy to include the audio stream into the output video. The challenge of adding audio is how to synchronize audio and video stream efficiently. Due to a difference between how video devices (video adapter) and audio devices (Microphone / Speaker) perform on various Windows systems, you may find that audio is out of sync with the video. To avoid such a scenario, you should select “How to test screen recorder” section which might be present in a few of the best screen recording software. Methods for testing for potential synchronization issues that may be present will be outlined in consequent pages. Recording mouse clicks and movement is frequently used in creating “how-to-use” type of videos tutorials and game-play videos. With it, viewers can easily see any action that the mouse performs. 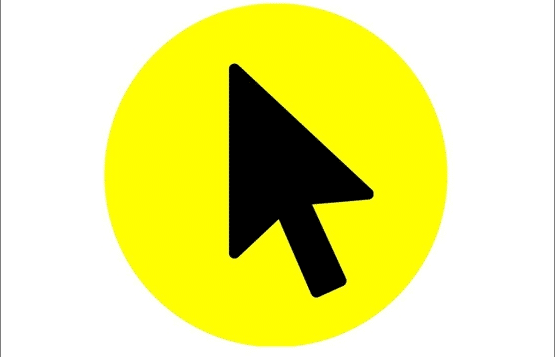 Besides, one can emphasize the effects by animating mouse buttons and changing the mouse spot color within the tool. 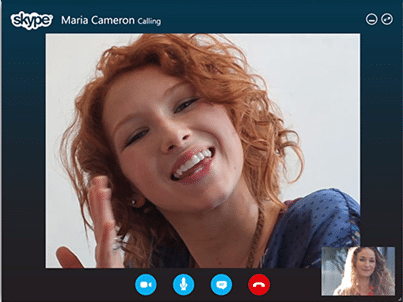 Such brilliant features only exist in a few commercial screen recording software such as TalkHelper Screen Recorder and SmartPixel which are ideal for mouse click recordings. On-screen annotation is the feature that enables you to annotate your desktop screen with a variety of drawing tools such as highlights, pen, arrows, rectangles, text boxes, callouts and much more as you are making a screen recording. Later, the results are incorporated into the video. It is useful for those looking for a way to save time when preparing slides for complex teaching activities. The feature comes in handy for professionals and can also work for personal use. Some of the screen recording software that can perform such tasks include Screencast-O-Matic, TalkHelper and Debut Video Capture for Windows. A great desktop recorder has the ability to record the screen in different resolutions (480P, 720P, 1080P, 2K, 4K Ultra HD). 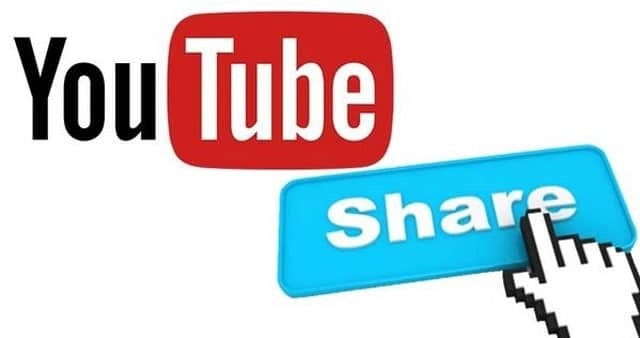 This results in creating the production video which is adaptable on different viewer devices including computers, mobile phones, TVs, online video sharing websites (Youtube, Vimeo). 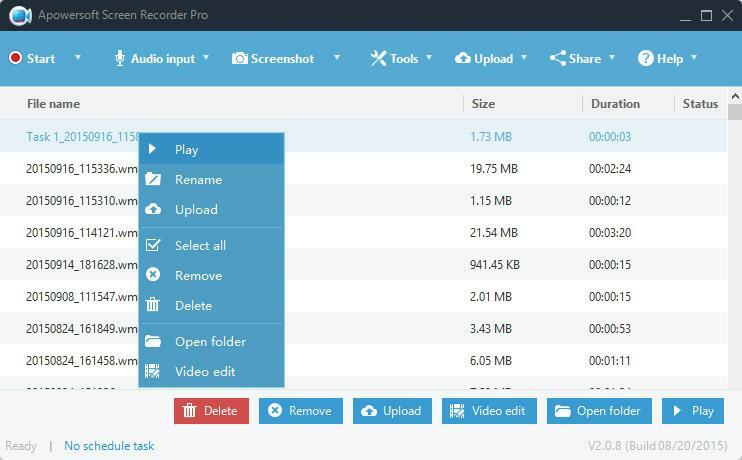 Furthermore, you can choose the optimized video encoder and preferred video file formats such as MP4, AVI, WMV, MOV, even GIF, along with many other customized settings in the very desktop recorder. 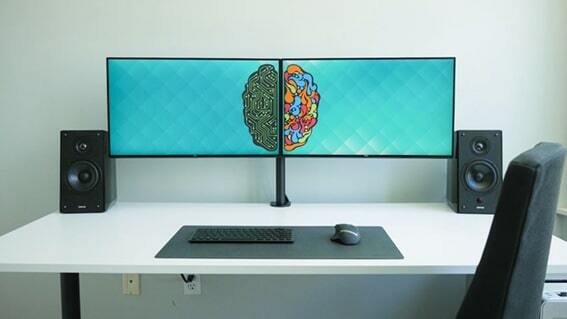 Sometimes, you may have multiple monitors connected to your computer and may want to have activities on one of the screens or multiple screens captured simultaneously, that can only be done if the screen recording software you use has such capability. Another scenario that the feature can be applied is when recording Viewer Mode where your laptop is connected to a projector while playing PowerPoint slides, viewers will only see the video content shown on the projector. There are many ways to share a recorded video with your colleagues, friends, or customers. One can either upload it to video sharing sites such as YouTube, ShowMore or Vimeo or move it to Dropbox or Google Drive. You can also send the video file via email if the file size is appropriate. 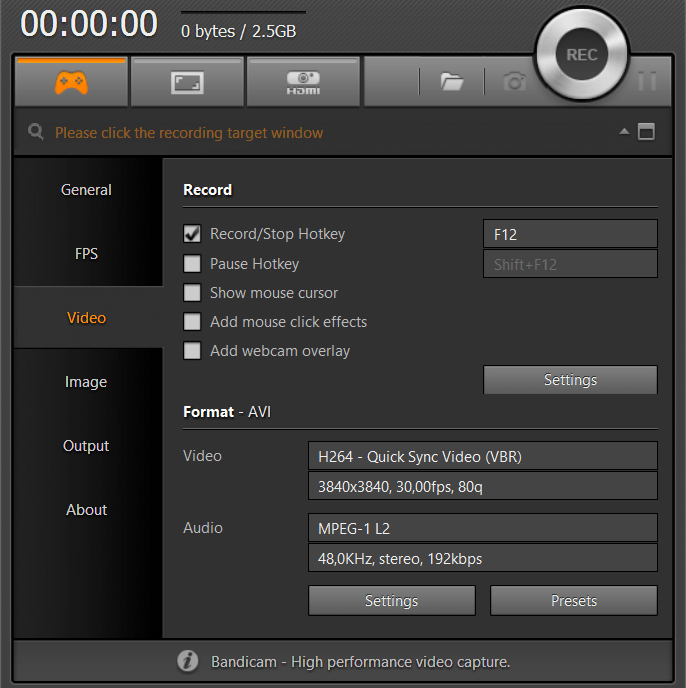 TalkHelper Screen Recorder and CamStudio provide those options to share the footage in a few clicks. Screencasting software that is limited to just the ability to record screen content does not seem to be good enough when people want to do more with the recorded videos. Most people need a full-packaged screen recording software that supports the capabilities to add watermarks to the output videos, change the volume, adjust the timeline when the audio is out of sync with the video, insert background music into the footage, etc. To get such features, one may have to settle for some of the best screencast software in the market such as O-Matic and TalkHelper Screen Recorder that provide editing tools after a screen recording. Sometimes you may want to record screen activities at specific periods of time such as midnight when you may not be around your PC. In such a case, you may need to schedule a screen recording. The feature offers the opportunity to preset recording parameters including a region to be recorded, time to begin and finish the recording etc. After that, the Windows-based screen recording software like TalkHelper, and IceCream will take care of the rest for you whereby you will find the video ready for use. In the event that one is a heavy user of screen recorders, the versatile functionality of managing and showing recording logs becomes crucial. It helps you to quickly locate the target record log from vast history recordings, where one can also assign a meaningful name to a screen recording instead of using the default time-based name which is not intuitive. Furthermore, putting annotations on the recorded item enables one to mark on important recorded videos. Unfortunately, such a useful feature is almost missing in most of Windows-based desktop recording software apart from TalkHelper Screen Recorder. 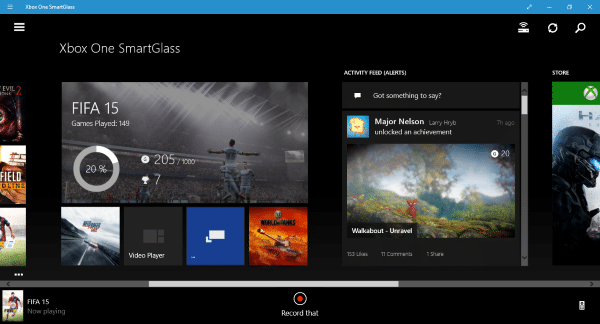 The techniques used for game recording are different from what is used for capturing screen on the Windows platform. 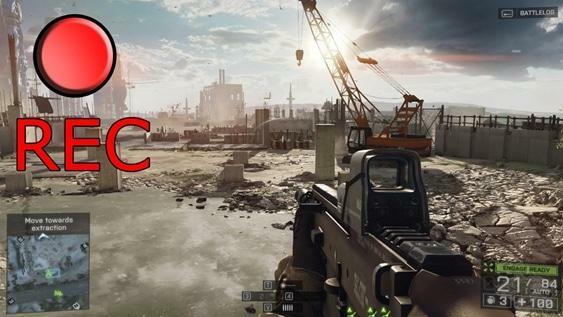 Most of Windows video games use DirectX / OpenGL technology to communicate with the graphics card directly along with hardware-acceleration enabled. 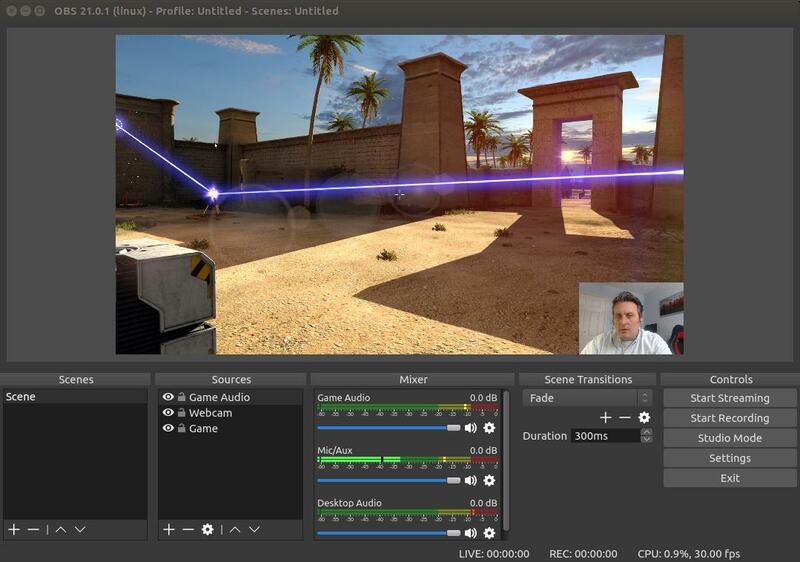 This means that the best way to record the streaming game is to grab the video frames one by one directly from the associated interface exposed in DirectX / OpenGL library by API Hook technique. Without using it, you will not be able to record a full-screen game at times. Usually, game recording requires higher FPS (e.g. 60) which mostly causes lagging of your computer if you use the screen capture mode instead of game record mode in a screen recorder. A scenario is an important factor to consider when you are selecting a screen recording program on a Windows computer. This is because not every screencasting application is suited for all the recording needs that one may have. For instance, when you want to record an instructional video, in addition to the basic functions mentioned above, you might need annotation tools while screen recording or recording mouse movement function. On the other hand, to perform a high-quality game recording, capturing game video in high FPS and having high-compressed lossless video formats supported you will need different features for that. In the following section, three common scenarios will be outlined followed by the best screen recorder ideal for the scenarios. Recording an instructional video is one of most important need for using a Windows screen recorder. In order to produce a professional video tutorial that is appealing to your audience, one might need the following essential features to achieve that. 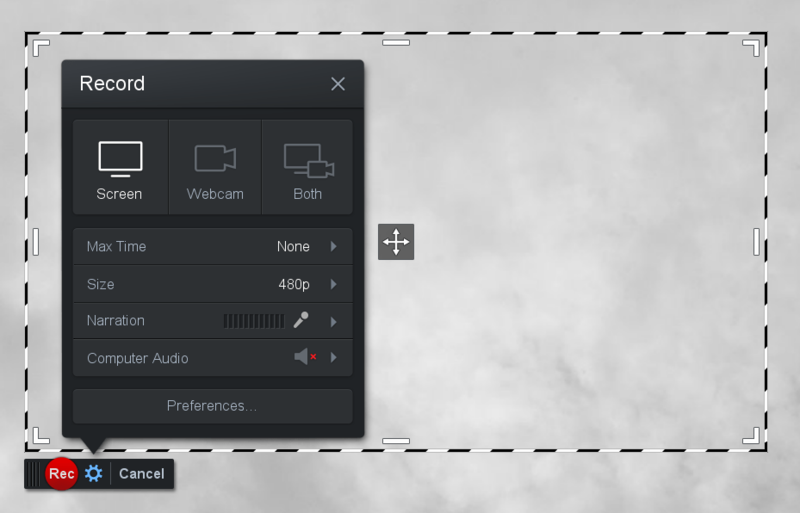 Full-Screen Recording: In most cases, to better present activities on the computer screen, you should use the full-screen recording mode for screencasting. Include audio commentary: Sometimes, you might want to add your voice from a microphone as a commentary while recording a desktop video or to include an audio stream from a pre-recorded media file as background sound instead. Display mouse clicks and movement in the recording: In order to help viewers better track the mouse actions, you can animate mouse clicks or even add mouse effects in the screen recordings. It can be very useful for viewers using a device equipped with a small resolution screen like mobile phones or tablet. Add annotations during the recording: When introducing a very complex function along with a set of highly customized settings on a software, you may want to highlight certain areas on the desktop screen by drawing lines, arrows, or even add texts. The annotation feature in a good screen recorder can enable you to do this with much ease. Pause/Resume Recording: In the event that you are interrupted by something else during screen capturing, or you have not prepared the rest of video content required during the recording, you can pause recording temporarily, and hit the “Resume” button once you are ready to continue. 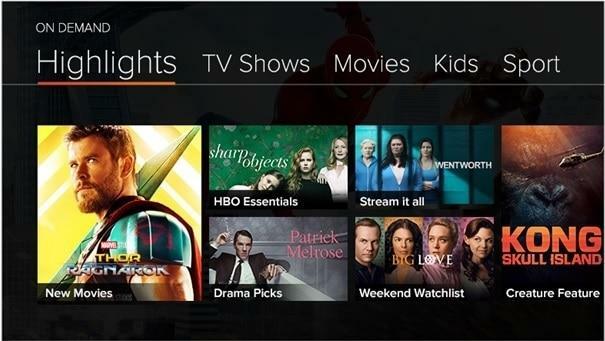 You may need to record an online live show airing on a TV during late hours when you are unavailable such as midnight. In such a scenario, the best screen recorder that can be considered is one which has a schedule screen recording procedure. Such software is available for Windows PCs and is ideal for keeping up to date with what is happening around the world as events can be recorded for later use. To successfully schedule screen recording, then you should look out for the following features. 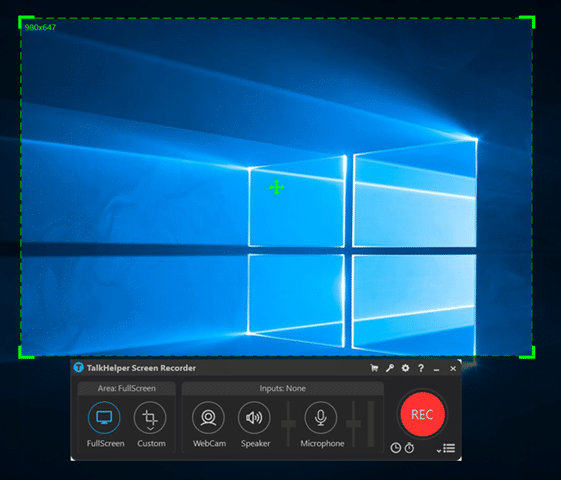 Record specific region of your desktop: On your PC, open the TV show client area, and maximize the window, then select “Record Custom Area” mode in your screen recorder software and select the client window as the target area. These settings ensure the screencasting performs in high resolution resulting in producing a video of high quality. Include system sound: Make sure you activate the setting of “include system sound” only (Not the option of recording microphone voice) during screen recording. Otherwise, the output video will be silent owing to the lack of an audio stream. Adjust output video format: In order to perform screencasting in high quality, you might need to tweak FPS, bitrate, as well as other associated parameters before capturing the screen. You should take the viewer’s environment into consideration as well. MP4 file format with H264 codec is most widely supported among different platforms and devices. Full-Screen Recording: An individual should consider that audiences always use different devices with different screen dimensions to watch YouTube videos. It is recommended to record the gameplay video in full-screen mode instead of windowed mode which might cause quality loss of footage being played on the device with a large resolution. Record Webcam Video: In the event that one wants to show their face in a corner of a game video, then the screen recording software should combine their facecam video and gameplay images into picture-in-picture footage. Activate Sound Mixer Recording: Usually, people want to record voice commentary from a microphone and system sound at the same time when they are recording a gameplay video. As such the two audio streams should be able to save into different channels in the final footage. High-FPS Recording: Recording a game in high FPS ensures the smoothness of the output footage. The optimal FPS for game recording is 60 but keep in mind high-FPS recording results in more system resources being consumed on a Windows computer. Use Optimal Bitrate: Bitrate is also one of the most important indicators affecting the definition of the resulting video. The bitrate recommended by YouTube is 8MBPS. It is important to note that the larger the bitrate, the larger the file size. Choose YouTube-Compatible Video File Format: It is imperative to ensure that the audio and video codec are pre-set to what is recommended by YouTube in your screen recorder before initializing the game recording. This avoids media quality loss caused by re-encoding and compressing after uploading to YouTube. Software testing may be quite time-consuming and boring to test all the mainstream screen recorders on your Windows computer. However, this step is crucial as you might get in trouble by using an untested screen recording software which may fail to deliver the function and quality as it claims. When this happens, it not only wastes time but also causes serious financial and reputation damages to an individual and a business. Hence, it’s necessary to get the desktop recorder tested before making the decision. Fortunately, we have done this part for you and concluded a set of potential issues that might occur in a screen capture software, as well as the corresponding test methodology to reproduce them.